Have you ever wondered why architects study for so many years? 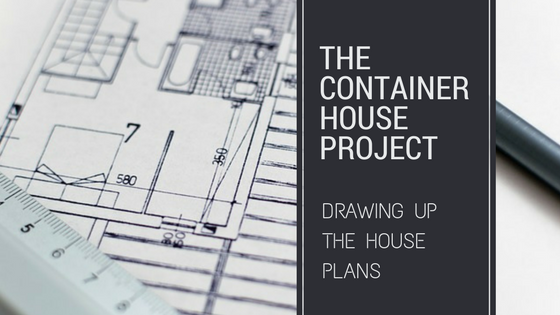 When it comes to house plans a lot has to be taken into consideration in order to have a finished house that is strong, safe and can withstand any geological and climate events that take place in the building-to-be’s area. Other factors also have to be considered such as the soil type, existing structures, property boundaries, and the area’s legislation. One also has to factor in what is physically possible and building problems that might arise with unusual ideas and awkward plots (e.g. lots of boulders or a steep incline). Energy efficient buildings use less energy to keep them warm in winter and cool in summer. One of the biggest concerns, especially in recent years, is energy efficiency. If your building has not got enough insulation or has many large windows, you will be required to use more energy to keep the interior warm in winter and cool in summer. One of our major concerns is the water situation in Cape Town. As the population of the city increases and the effects of climate change makes itself more obvious, we believe we can expect more water issues in the future. Because of this, we have decided that we wish to be off the grid in regards to water as much as possible, and rely on rain water. This requires the addition of large water storage tanks, and a roof and gutter design to collect as much rain water as possible. There’s no doubt about it. Having plans drawn up and waiting for paperwork is an expensive process that can take months. However this expense and time is worth it because at the end of the project, you will have the peace-of-mind that comes with knowing your building is legal. If you want to save costs, it is best to look at the building itself. Something as simple as the plumbing can cause the expenses for a project to shoot up. For example, in most houses the kitchen and bathroom areas are located near each other as they both require incoming hot and cold water and somewhere for waste water to go. Therefore, if you have bathrooms and kitchens on opposite ends of the house, your plumbing will be a lot more complicated and therefore much more expensive. Kevin and Louis have been in the building industry for decades so they can foresee problems (and find solutions) very easily. Kevin spent hours working on different ideas for our rather unusual house needs and we spent much time with him discussing the various options as well as the pros and cons of various designs. Finally we decided on a design. A great design that we will only share with you later (so keep following us!). We still had to have the idea professionally drawn before it could be signed off by a structural engineer and finally submitted to council for approval. The area where our plot is situated is very rural and mostly ignored by the area’s Town Planner. However, we don’t believe this will be the case forever and so decided to do things legally despite the expense. Who Completed our Shipping Container House Plans? If you wish to enlist his help for your project, you can find his contact details here. We really hope that Aubrey enjoyed working on our very unusual project. Thanks for you guys to use me. It is hard work in designing & drawing a rational design. You guys made it easier as you provided me with all the necessary information especially Kevin. As for people interested, the local municipality, architectural professional, engineer/s and your client have to work together in accomplishing your goal. Fees are set by South African Council for the Architectural Profession ( SACAP ). You can however negotiate with the Architectural professional for an agreed fee. I qualified in 1985 at Peninsula Technikon as an Architectural professional. I also were in Building control at municipalities countrywide since 1987. Thanks again for me being part of this project. Yes, a lot of work goes into every aspect of building! I know from my brother, who is an architect, how astoundingly complex designing a building can be – it’s not just drawing pretty pictures; it involves taking into account people’s behaviour within the space, the characteristics of the area (traffic, trees, underground pipes, etc. ), the shape of the plot, whether the building and its neighbours will block each other’s light, advantages and disadvantages of different types of materials, finicky regulations, delicate negotiations with stubborn planning authorities, coordinating the schedules of architects, engineers, authorities, builders and final users… The list goes on. And if you make one tiny little change, it sets off a domino effect that means everything else has to be changed too. Well done to Aubrey for his professionalism and well done to Ash, Kevin and family for putting everything in place to make sure he can do his job well. I look forward to seeing the final designs! Thank you very much for your (and your brother’s) perspective on the matter! There really is so much to take into consideration! It is nice to see how things are slowly falling into place. Had no idea that so much is actually involved in designing a house. You always see the end results but never the behind the scenes. Thank you for sharing your progress and can’t wait to see the further developments. Well done Kevin and Family …excellent move to get out of the city and enjoy the tempo and mantra of the semi rural west coast. We will get there as the population continues to grow and expand. Have you consider the solar options as well as gas ? We definitely have considered solar but haven’t made any decisions yet. We are currently using quite a lot of gas to cook and keep warm and I’m sure we’ll keep using some gas appliances as the project continues.